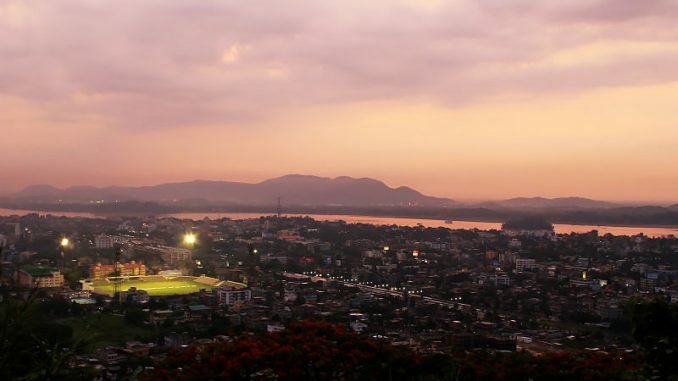 Guwahati, the gateway to the entire Northeast, is not just the most prestigious of Assam’s 14 Lok Sabha seats, but is also seen as an indicator of which way the rest of the North east’s 11 Lok Sabha seats go. 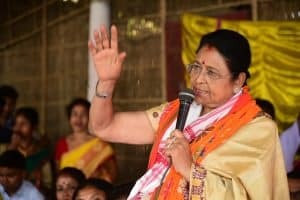 With the state ruled by the BJP, the 2019 Gauhati (as the parliamentary constituency is named) contest, where voting takes place on April 23, is likely to be a closely fought one between two prominent women of the state: film actor and TV personality Bobeeta Sharma, 52 for the Congress and Queen Ojha, 67, former mayor of the city and ex Asom Gana Parishad (AGP) and Rajya Sabha member who recently switched over to the BJP. 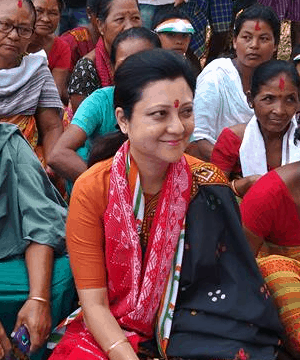 There is a third woman in the fray in Gauhati, independent candidate Junmoni Devi Khaund. Since independence, the Gauhati seat has sent many prominent politicians to the Lok Sabha. But it has been with the BJP since 2009, represented by veteran BJP member and a former Union Minister in the Vajpayee government, Bijoya Chakravorty, who opted out of the race this time because of her age and ill health, as did two other sitting BJP MPs. Bijoya Chakraborty had won the 2014 elections comfortably, defeating Congress’s Manash Bora by over three lakh votes. Both Bobeeta Sharma and Queen Ojha are first time contestants for the Lok Sabha, though both had earlier contested and lost in the assembly polls. The Gauhati Lok Sabha seat consists of 10 assembly segments and has a total of 17 contestants. Bobeeta Sharma will be trying to win the constituency back for the Congress. A noted film and television personality and an entrepreneur, Bobeeta has been associated with the party for a few years and is popular among grass root workers, especially the young. Her in-laws have been long time Congress loyalists. “Give me 5 years,” Bobeeta tells voters. Her agenda, she says, is to tackle the drinking water issue in a constituency that is partially rural, and making Guwahati “a liveable city”. 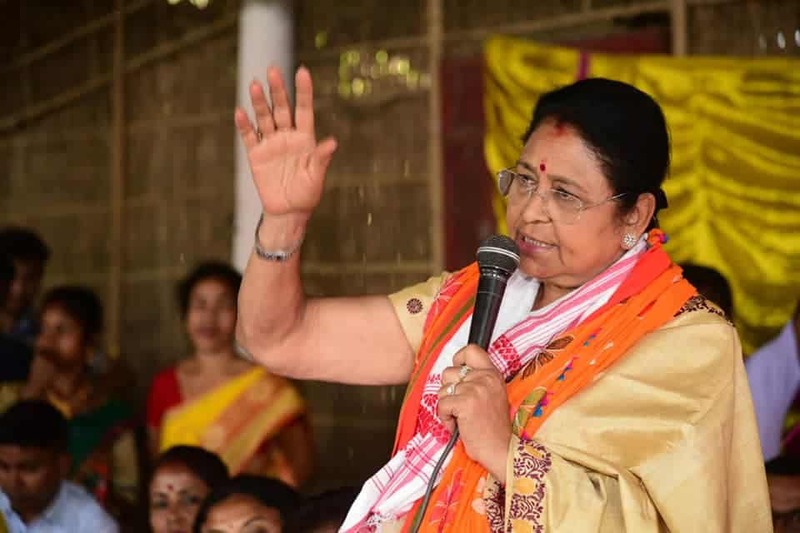 Queen Ojha, 67, who has been given the responsibility to hold on to the Gauhati seat for the BJP, which is allied with the AGP and the Bodoland People’s Front (BPF), has been in politics since the days of the AGP led Assam agitation. 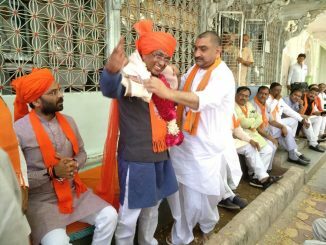 Belonging to a high profile business family and active in the family business, Ojha knows the constituency well, having been Mayor. However she has been caught in controversy since she filed her nominations. The Election Commission asked Ojha for an explanation for allegedly providing “false information” about her educational qualifications. Ojha had stated that she had passed her “Higher Secondary from Krishna Kanta Handiqui State Open University in 2011.” However, KKHSOU told the local media that the institution does not offer any higher secondary or 12th grade course. Ojha did a Bachelor Preparatory Programme (BPP) in 2011-12 and took admission in the degree course, but did not continue her studies. In her interactions with the media, Ojha has been stressing on development as the main theme of her campaign. 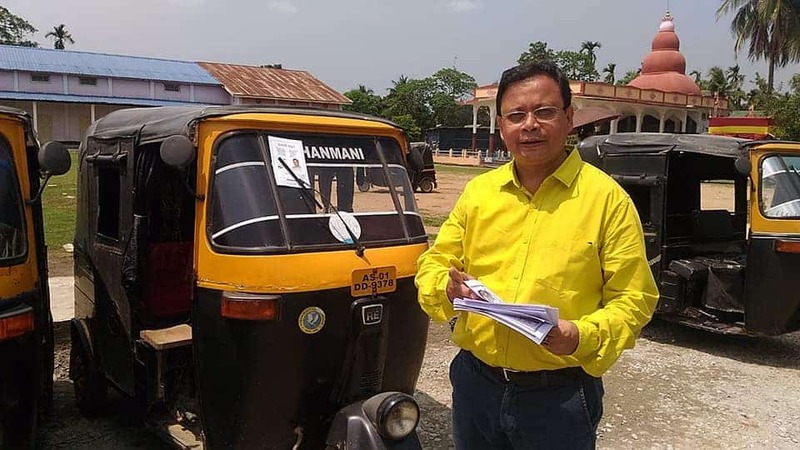 The dark horse in the race is an independent candidate Upamanyu Hazarika, a Supreme Court lawyer who heads the Prabajan Virodhi Manch that fights for the rights of the indigenous people of Assam. Hazarika has been demanding laws to reserve land rights and provide government jobs in Assam to children of pre-1951 residents only. 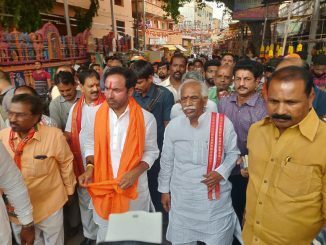 He has also called for a re-verification of the National Register of Citizens (NRC)to prevent illegal migrants from becoming Indian citizens. Click on candidate name for affidavit. Chandrani Sinha is an independent journalist based in Assam.